Investors in affected FMPs of Kotak MF will receive a part payment of maturity proceeds for now. They will get the amount equivalent to the value of the other holdings in the FMP (maturity amount minus value of holdings in Zee Group). The remaining amount may be paid if and when the fund house recovers the money from the companies. In case of the HDFC MF FMP maturing on 15 April, investors can either agree to an extension in maturity date or exit on the prevailing maturity date. For investors who exit, units will be redeemed at applicable NAV on existing maturity date. They will get the amount minus the value of holdings in Zee. Investors who agree to extend the maturity date may recover the entire amount, provided the entities to repay the debt. 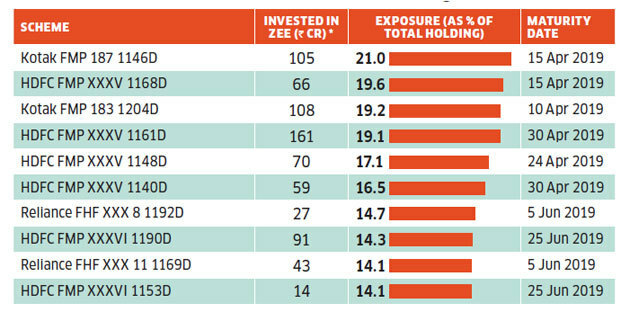 Fund houses had lent to the Zee Group entities against the collateral of shares of Zee Entertainment Enterprises. 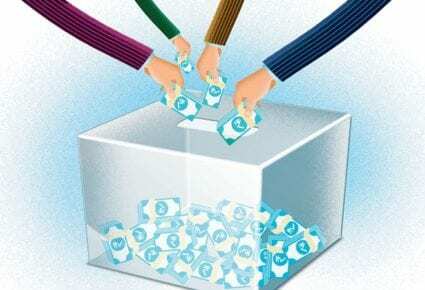 When lending against pledged shares, MFs typically enter into covenants with the borrower (issuer of the debt instruments). The issuer agrees to pledge shares worth up to 1.5-2 times the loan value. If there is a sharp drop in the price of the shares, the MFs typically ask the borrower to top up the pledged shares to cover the shortfall in the margin. If not, they can recover the money by selling the pledged shares. In this case, however, most fund houses have not invoked the covenants despite a fall in share price of Zee. They have entered into a standstill agreement with the group promoter till September 2019. By this time, the promoter has promised to sell stake in a few key group companies and repay the debt. Until then, the fund houses have agreed not to invoke the pledge. This is to prevent a further drop in share price and avoid hurting sale prospects. Investors in closed-ended FMPs cannot exist during the tenure of the scheme. While these are listed on exchanges and are, therefore, tradeable, the trading volumes are very poor. This limits the investor’s ability to exit the scheme at a fair price.